Would have to be about as comfortable for the lighthouse keeper a lighthouse as I have seen in your series on them ! Fine structure, very nicely captured ! Really nice capture of this Light House. This lighthouse is SO different from most of those you have shared with us. The keeper's house is really large. 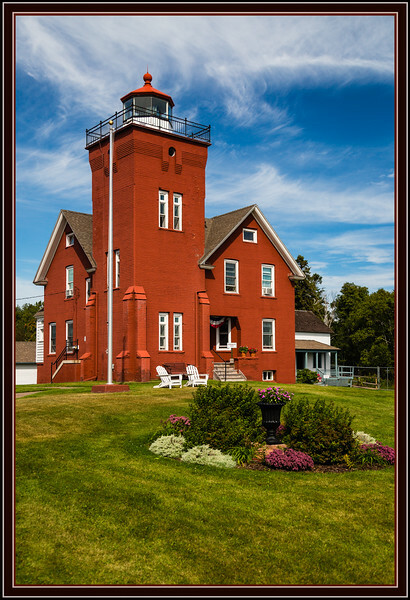 Love the vivid rust color of this light station! Excellent shot! What a beautiful lighthouse. Quite unique.